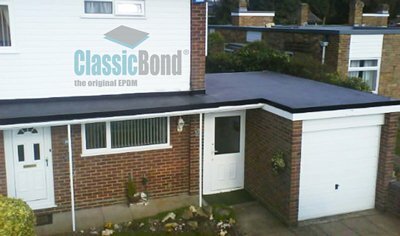 ClassicBond EPDM is one of the best EPDM roofing systems that has a life expectancy of over 50 years. 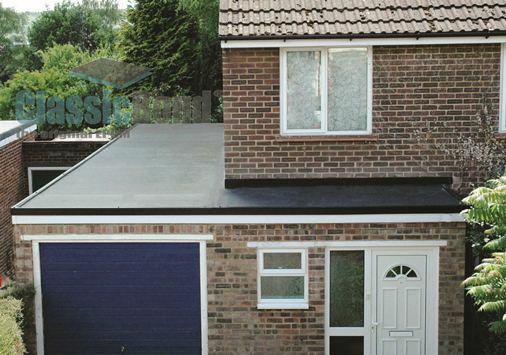 This is recognised as being one of the most reliable, durable and long lasting materials used for flat roof repairs. Buy ClassicBond online. What is ClassicBond rubber roofing? When you need a sustainable, long-lasting rooftop, look no further than the single-ply rubber roofing membrane with a half-century track record of performance and durability - ClassicBond... the original one piece EPDM rubber roofing membrane. More than 10 billion square feet of ClassicBond EPDM rubber roofing membrane has been sold worldwide. No other manufacturer has a comparable track record. 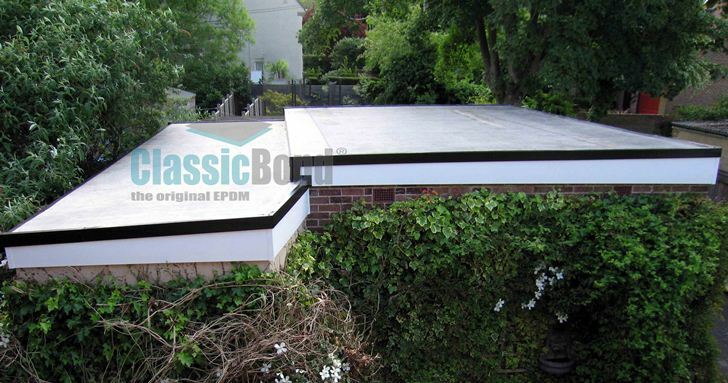 ClassicBond is one of the best EPDM flat roofing solutions, the ultimate in convenience. 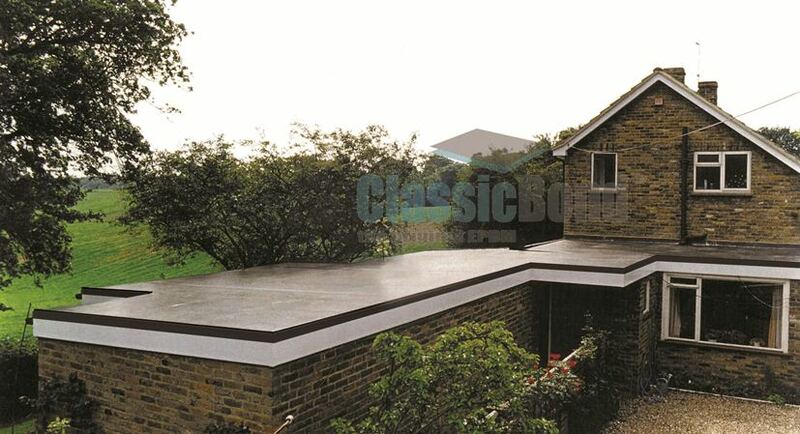 ClassicBond will last a lifetime, making it the perfect choice for your flat roof. 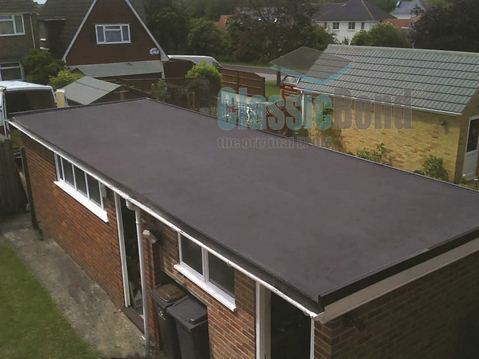 ClassicBond EPDM rubber roofing is suitable for a wide range of domestic and commercial flat roofing applications, including flat roof extensions, garage roofs and shed roofing. 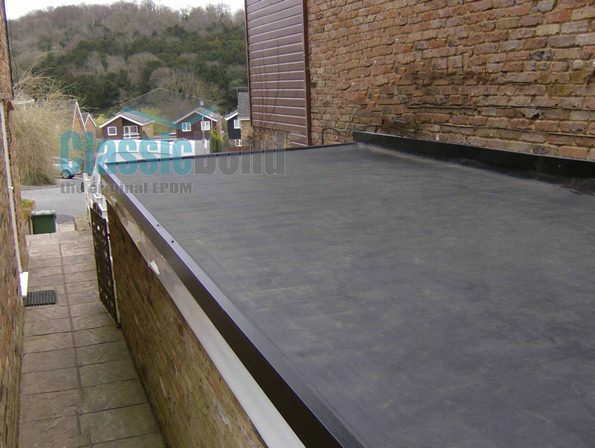 Want to find out more about using EPDM membrane on your flat roof? Read our Rubber Roofing FAQs or call 01306 776626 to speak to a member of our expert team.